Haiti. Port-Au-Prince. 2010. 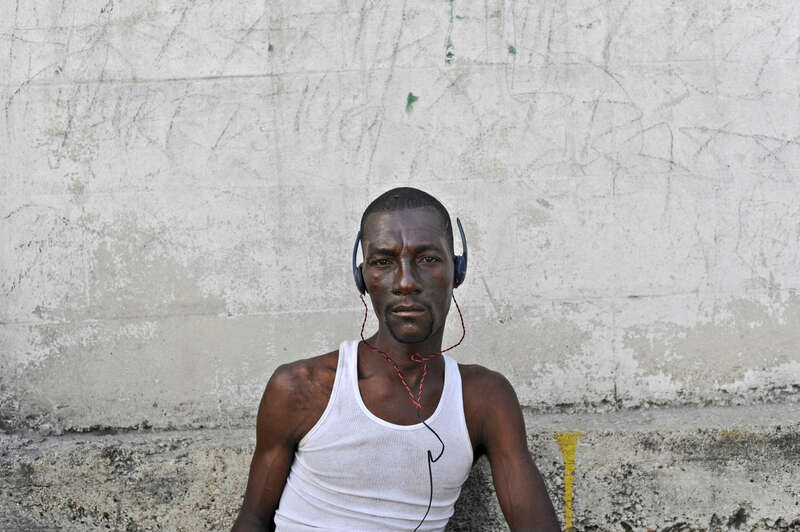 A Haitian worker hired to distribute food aid listens to music while waiting for orders to load his truck with rice.